Marriage John Alexander was married to Louisa Jessie Smith, daughter of Henry Dodgson Smith and Mary Anne Caroline Williams, at EnglandG. Marriage Elizabeth Anne was married to Robert Bowen Smith, son of Henry Dodgson Smith and Mary Anne Caroline Williams, at EnglandG. Birth Henry Bowen Smith was born at EnglandG. He was the son of Robert Bowen Smith and Elizabeth Anne Sturt. 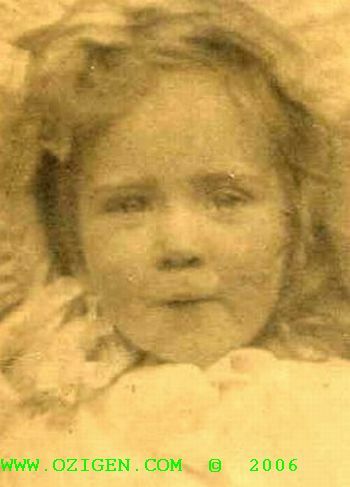 Birth May Cynthia Smith was born at EnglandG. She was the daughter of Robert Bowen Smith and Elizabeth Anne Sturt. Birth 1855 Florence Mary Smith was born in 1855 at EnglandG. Death 1895 Florence Mary Smith died in 1895.